Creating a wedding that is truly unique takes a lot of planning. Our fully customisable wedding planners can be a great help in organising the big day, leaving you with a beautiful souvenir to treasure for a lifetime. The main section of the planner is a twelve month countdown, with tips to help you at every stage of the process, and helpful ‘month at a glance’ calendar pages, perfect for keeping track of your appointments. You’ll also find in-depth planning sheets towards the back to guide you through every task. You can add text and photos to your chosen cover design, and also to your inside pages, keeping your loved ones in mind as you look forward to walking down the aisle. 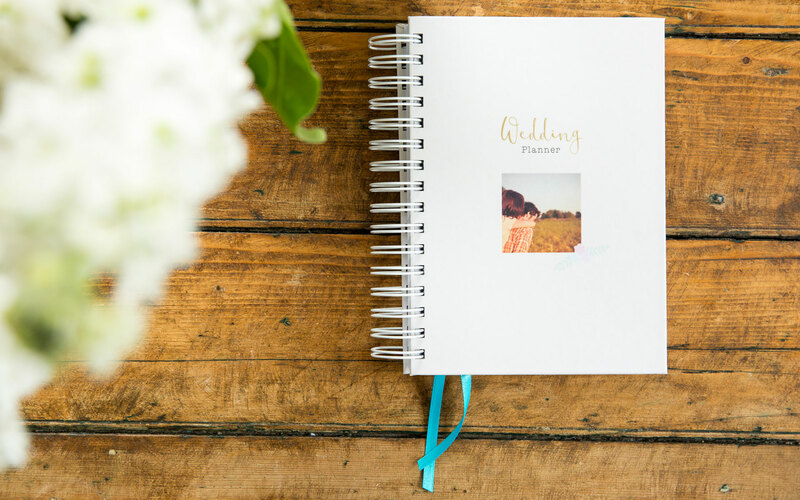 Whether for yourself, or as an engagement gift for a friend or family member, our Wedding Planners are just the thing for the journey into married life. Start the first step of your wedding planning journey by choosing the size of your product..